Trump’s attempts to lay low in Scotland during his 13-15 July visit to the UK were scuttled by huge numbers of protestors everywhere he went, including at his own golf resort. As the specifics of Trump’s UK schedule became clear (Trump spent two of his three nights in the UK in Scotland), a weekend of protests was coordinated. 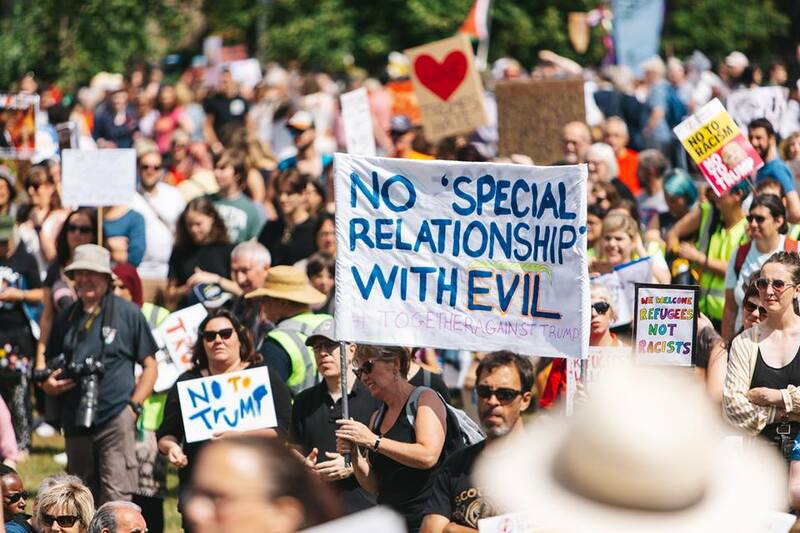 Beginning on Friday afternoon, as Trump’s plane touched down in Ayrshire, and culminating on Saturday afternoon in a Carnival of Resistance in the capital, Edinburgh, people took to the streets to declare their opposition to Trump. No-one in Scotland could have failed to observe the mass protests that erupted in opposition to his racist, misogynistic and xenophobic agenda. Despite heavy police presence and their cordoning off of huge areas around the Trump Turnberry Golf resort, several groups of protestors gathered as close as they could, ahead of Trump’s arrival, to ensure he heard directly of their opposition to his policies and politics. 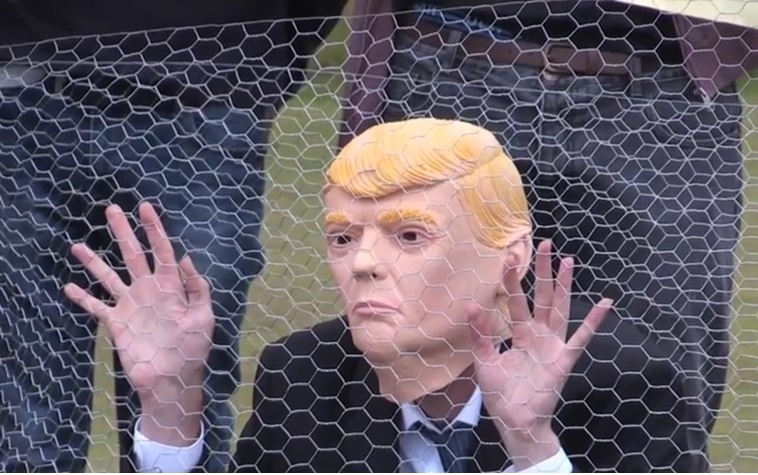 These protests included a Trump-masked lookalike behind cage fencing with the banner ‘Baby Jailer’, a mock-up of a cage with baby dolls inside, and women wearing the iconic Handmaid’s costume, as well as a paraglider who broke the sniper controlled no-fly zone around the resort to fly a banner with ‘#resist’. And across Scotland, in towns and cities from Dumfries to Dundee, local grassroots demos were held on the same evening for those who couldn’t travel. Even on the Orkney Islands, off the north coast of Scotland, people gathered for a Picnic of Resistance to show support and solidarity with those in America who are suffering under Trump’s racist, divisive policies. The following day, the protests continued in Edinburgh, starting with a rally outside the Scottish Parliament. An estimated 60,000 people then marched on from the rally, past the US consulate, to Edinburgh’s Meadows (a large public park) where a Carnival of Resistance was held, replete with the famous Trump Baby blimp. And again it was clear, amongst the protestors in Edinburgh on Saturday, that their opposition to Trump was total. A quick perusal of The National’s ‘ 21 best signs’ gives a flavour of people’s anger, their desire to stand in solidarity with the Resistance in the US, their absolute opposition to Trump and, of course, their talent for using humour to make a point. Across the weekend, the Scottish Government’s attempts to distance itself from Trump’s visit were notable. Not one single member of the Scottish Parliament met with Trump. Instead, all parties, with the exception of Theresa May’s Scottish Conservatives, choose to shun Trump by publicly aligning themselves with Scotland United Against Trump (SUAT – an independent coalition of organisations and individuals, set up to coordinate the anti-Trump protests in Glasgow and Edinburgh). And the irony was not lost on anyone when Nicola Sturgeon, First Minister of the Scottish Parliament, chose to make history on Saturday by becoming the first ever serving head of Government in the U.K. to lead the annual Pride march in Glasgow. However, as welcome as this stance was, it falls far short of the historic mark made by ordinary folk in towns and cities across Scotland who took to the streets, parks and public squares for a coordinated weekend of protest. 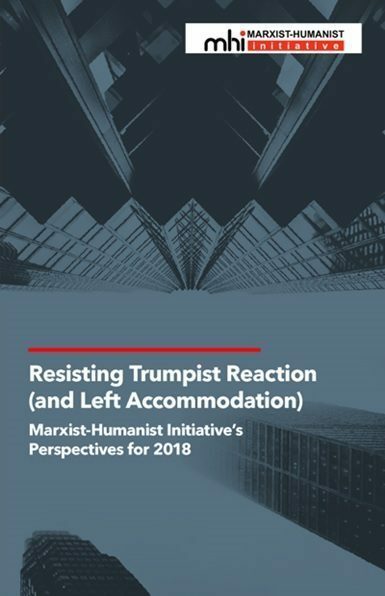 Obama-Trump Voters: Rebelling Against Neoliberalism, or Embracing Racism, Misogyny, and Authoritarianism?